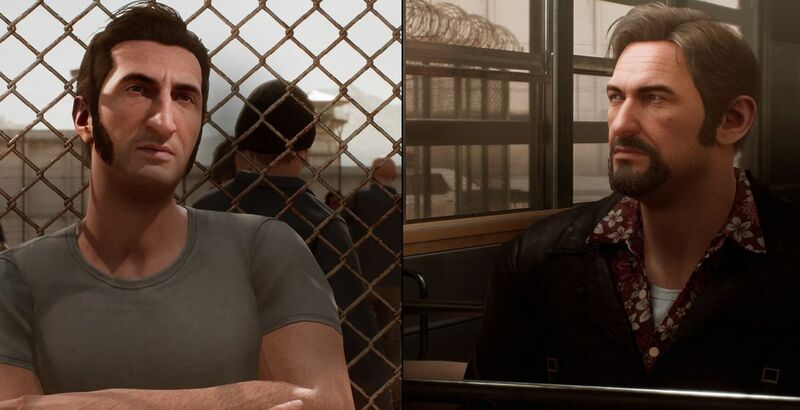 Head to head graphics comparison between the two console versions of A Way Out. Josef Fares’ A Way Out is a strange beast. Despite being one of the best couch co-op games we have played in recent memory, its implementation across the PS4 Pro and Xbox One X versions is rather inconsistent. The Way Out on the Xbox One X comes with two visual modes, one which prioritizes resolution and the second which prefers better performance. However, on the PS4 Pro, there are no such options. The game simply seems to run at an unlocked frame rate on the PS4 Pro. Now A Way Out can look gorgeous in some scenes but it’s by no means a system pusher. Yes, it does something incredible from a game design perspective but from a technical front it still pretty much has that indie look and feel to it. So, the lack of modes on the PS4 Pro doesn’t represent a case where Sony’s machine can’t do something due to its technical deficiency compared to Xbox One X. In the end PS4 Pro users are stuck with somewhat of an inferior version of A Way Out. A Way Out uses Unreal Engine 4 and the differences between the versions, besides the ones we have already mentioned before, are minimal. Both versions use the same core assets, character details, level of detail and draw distances. There are also some minor issues like clipping and mediocre animations but they don’t deter the overall feel the game is aiming for. Overall, it’s the Xbox One X version which takes the lead here. The lack of a proper PS4 Pro support is quite baffling. The PS4 Pro in no ways lacks the technical prowess to run A Wat Out with different visual parameters and this is rather disappointing state of affairs, specially given how good A Way Out is from a gameplay perspective.